Simple yet elegant stripes hit catwalks, streets and trunk shows. 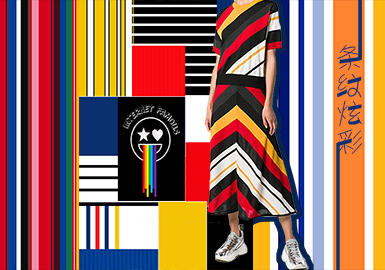 Designers play with diverse stripes. Rainbow effects enliven A/W garments, while geometric piecing adds vibrancy. Colorful stripes modernize womenswear.